Making sure a project is completed safely, on time and on budget requires everything to go right. Completing projects correctly is Wilkerson Crane Rental’s goal for all our customers. We offer a wide variety of services to keep your project on track and on budget. It doesn’t matter if you need a piece of rental equipment, a fully operated crane, or just an assembly director, Wilkerson is here to make sure your project goes right. 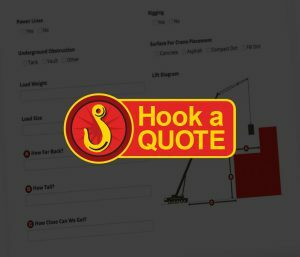 If you’re ready for your project to be raised right, get a quote today! Our operated crane rental service leaves nothing to be desired. Our talented crew will take care of job site analysis, site preparation, critical lift planning and more. All you have to do is stand back and watch your project reach higher than you ever imagined. Plus, we offer fully operated 24/7 emergency lift service. Emergencies don’t happen when its most convenient and Wilkerson understands that, so we’re here to help when you need it most. Each crane is rented at hourly rates and is operated by experienced Certified Operators, ensuring the proper equipment and safety measures will be used. Equipment rental is something we know inside and out. If you have the qualified operators, we have the equipment they need to get the job done. Our rentals include rough terrain pickers, mobile cranes, tower cranes, and even crawler cranes. Check out all of our equipment and then give us a call to find out how we can help your project move forward. Whether your heavy hauling needs are lift related or not, Wilkerson Crane Rental is ready to get your cargo where it needs to go. We have lowboy, flatbed and single drop trailers ready and waiting to move anything you need. Plus, if you need help loading that trailer, we know just the place to go. That’s full service hauling and we know all about it. Sometimes your project isn’t ready for a delivery yet, but you need it unloaded from the truck as soon as possible. Wilkerson offers short-term storage services to meet your needs. We’ll unload your cargo, store it for a short time, and load it back up for transportation to its final stop. That keeps your project on track and that’s what we’re all about. Wilkerson’s experienced and knowledgeable service crew is ready to help you at a moment’s notice. We offer heavy equipment servicing and crane repair, certified annual crane inspections, equipment rebuild and on-site repairs. We even have a certified welder available for boom repair. Plus, equipment breaks at the worst possible time, that’s why we offer 24/7 emergency service. We’ll get your equipment fixed and back to work in no time. If you already have an operator for your equipment, but need an assembly director, qualified rigger or signaler, or a mechanic, you can use one of ours. We’ll provide the crew you need to complete your project safely. Our crew has limited availability, so give us a call to see how we can help make sure your project is raised right.